Take back Mother’s Day with the Compassion Collective. Mother’s Day wasn’t created to honor the kind of love that stays home and hoards our blessings. It was created to honor the kind of love that marches out and serves. I’ve teamed up with five stellar authors — Glennon Doyle Melton, Brené Brown, Elizabeth Gilbert, Rob Bell, and Cheryl Strayed — and invite you to join us. On any given night in Europe, tens of thousands of refugee children are cold, hungry, and alone. As they’ve fled war, they’ve lost their parents—temporarily or forever. On any given night in the United States, over 200,000 homeless youth sleep on our streets. 40% of these kids are LGBTQ+. Many of them lost their families through rejection. Another 40% have aged out of the foster care system. 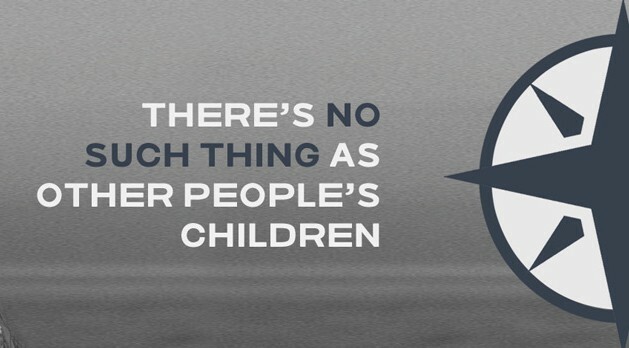 There is no such thing as other people’s children. This Mother’s Day, the Compassion Collective will begin to mother these motherless children. We are raising money to feed, clothe, shelter, and provide basic services. Every cent we raise will be distributed equally between aid to refugees abroad and homeless youth in the U.S. The maximum donation is $25. Please join us here: http://thecompassioncollective.org. So far, I am stunned. We raised $432,000 in our first days. I have never been part of a fundraising drive that has raised nearly half a million dollars overnight! Because the maximum donation is $25, it means that thousands of people are honoring Mother’s Day by pouring dollars into life-saving work for refugees abroad and homeless youth in the US. You can learn more about the project on the website. Thank you to the visionary Glennon Doyle Melton for creating and leading the Compassion Collective in this life-giving work. Update – 5/11/2016: Thank you to everyone who joined our campaign last week! Together, we raised $560,853 . Altogether, The Compassion Collective has raised $2,039.039 in the last year. $25 at a time. I’m amazed and grateful for what we can do together. This is #revolutionarylove.